FRPpro™ is a structural analysis program for the design of fiber reinforced polymer (FRP) reinforcement and strengthening. You’ve come to the right place. 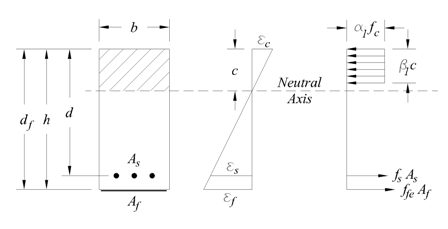 Until now, there has not been an ideal solution for engineers to help perform the tedious calculations required to develop efficient and documented solutions to FRP strengthening and reinforcement. Now there's FRPpro™. 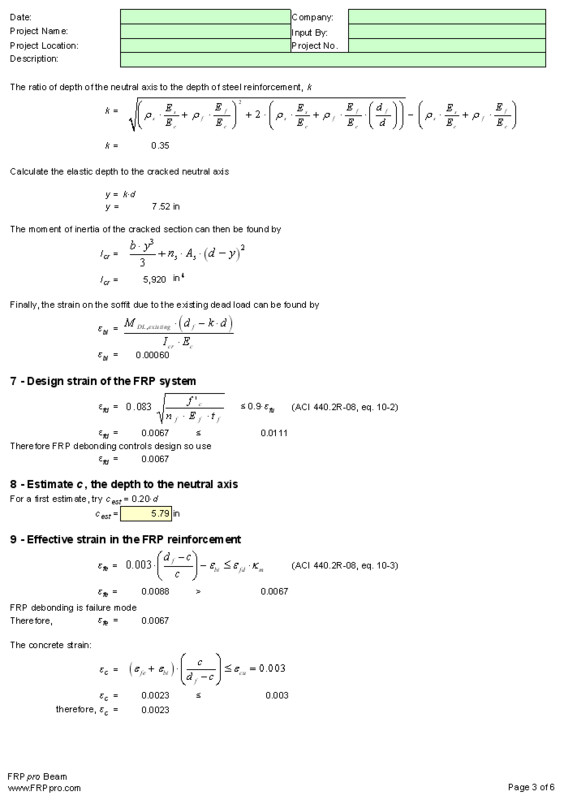 Listed below are spreadsheet-based engineering calculators that allow simple FRP design of reinforcement and strengthening systems for reinforced concrete beams, slabs, walls, and columns. 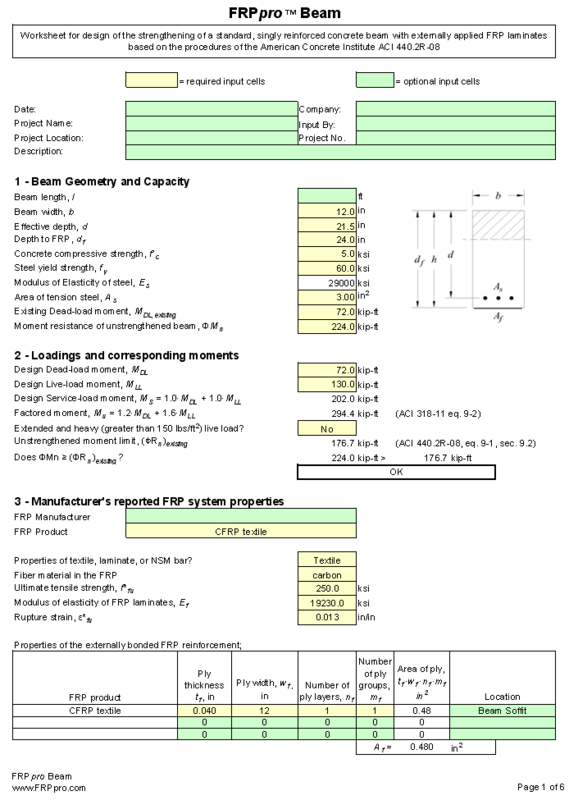 With each FRPpro™ structural analysis program, you can design, apply what-if scenarios, and understand the recommended design guidelines in a familiar spreadsheet format. These engineering calculators are the result of hundreds of hours of development and backed by 24 years of engineering experience. They were developed to follow code requirements and recommendations of the American Concrete Institute (ACI) Committee 318, Structural Concrete Building Code and 440, Fiber Reinforced Polymer Reinforcement. Aramid, Basalt, Carbon, and Glass fiber reinforced polymers. 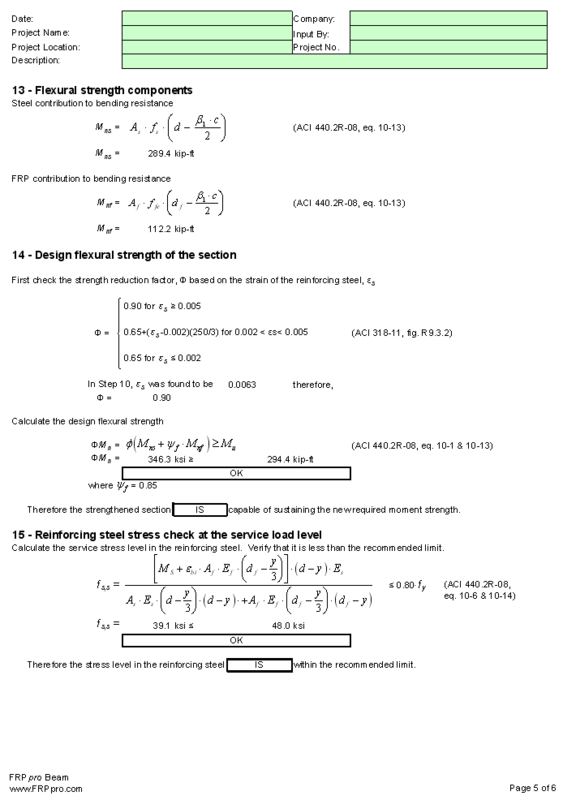 Each FRPpro™ structural analysis program for designing FRP reinforcement and strengthening solutions is based on ACI 440 design guides. The programs purposely follow ACI guidance so that every engineer familiar with reinforced concrete or masonry design can quickly develop a thorough understanding of the FRP design steps, limitations, and recommended practices to design FRP reinforcement solutions. Best of all, the structural software available here is offered with a no-risk, 5-day, fully operational trial so you can see if the program is right for you! Pays for Itself. You will save hours of time on the calculations so you can spend more time engineering. Easy to Use. 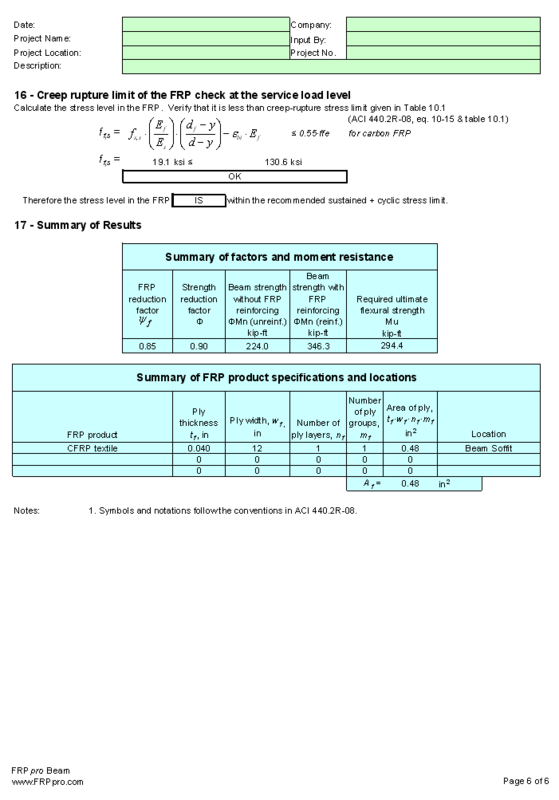 The FRPpro™ design calculators are created in the familiar Microsoft Excel spreadsheet format. You won’t spend a lot of time learning this software. Help. A help guide is included in each program. Tips, references, and recommendations are built into the input and calculation cells. In addition, help is always available by email. Documentation. 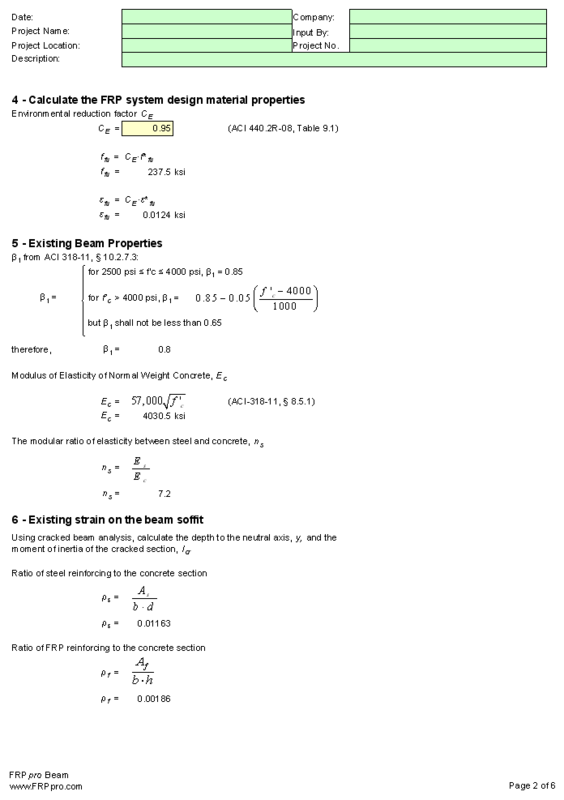 All calculations are provided in a step-by-step format showing documented verification of results. Training. Live and recorded webinars are offered for beginning to advanced designers of FRP reinforcement and strengthening. Download these FRPpro™ design software solutions with a FREE TRIAL. Click on the screenshot images below to enlarge. Each FRPpro™ software has a free, fully functional, 5-day trial version. Use your own project specific data and get solutions now! 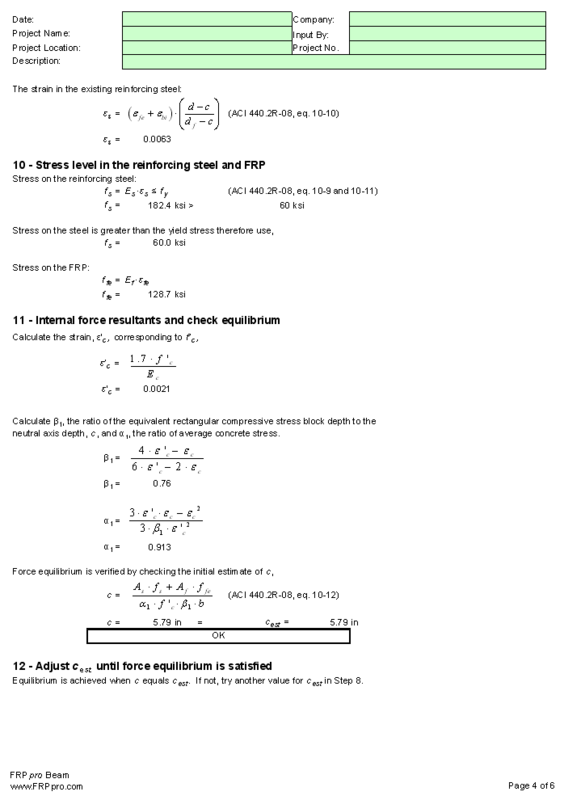 As to your spreadsheets, I've only worked with the beam flexure one so far, but have found it to be incredibly helpful. Through their use, I've saved myself countless hours doing hand calculations and/or writing my own spreadsheet that would have probably been far less elegant and transparent than the one you've made...I can hardly fault what is an otherwise incredible piece of work on your part. FRPpro™ software runs on Microsoft Excel 2010 and newer versions. Excel must be installed on the computer you wish to run FRPpro™. Download and install a trial version of the product prior to purchase. Using the trial version assures that the software will work properly on your computer and is required. Copy your computer I.D. After starting the FRPpro™ application, copy your computer I.D. by clicking on the "Copy Computer ID" button on the start up screen or by clicking on the Excel menu LockXLS > Application FRPpro > About. Paste the computer I.D. into the box supplied on the checkout page. What's happens after I purchase? We use your computer I.D. to generate a registration code and email it to you within 48 hours (usually sooner). Copy and paste the registration key file into the folder where you saved the FRPpro™ structural analysis program. You will now have a fully operational, registered version of FRPpro™! Download now for a Free, Fully-Functional, 5-day Trial Version! Now supports Basalt FRP Design! To purchase FRPpro™ Beam Flex, paste your computer I.D. below and click "Buy Now"
FRPpro™ was developed by a civil/structural engineer for engineers and designers. Read how it happened here. Microsoft, Windows, Excel and ACI are trademarks of their respective owners. FRPpro™ was developed independently and without the authorization, sponsorship, endorsement or approval of Microsoft or the American Concrete Institute.